Actually, it is the top question. Easily. Are your training habits worthy of the fast performances you expect from yourself? In other words, are you doing the things on a day-to-day basis that give credence to the high expectations you have for your swimming? Or are you hoping that you can get by with marginal training habits on genetics, talent and entitlement alone? 1. You aren’t pushing yourself. Yes, you shouldn’t be gassed to the point that are you are bed-ridden after each workout, and nor should you push your body to the point of utter failure each time out. But you certainly want to feel like you did something over the course of the time spent in the pool. If you aren’t pushing yourself, if you aren’t stretching your limits in the pool repeatedly than it’s easy to see why you aren’t improving as fast as you’d like. The surest way to insure progress in the pool is to monitor your workouts to be certain that you are continually pushing yourself to new heights. 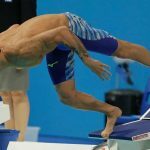 Whether it is adding an extra rep to a tough set, adding a couple underwater dolphin kicks to each of your walls, or striving to beat your best 200m kick time, don’t be afraid to reach a little bit further each time you jump into the pool. 2. You aren’t paying attention in the water. It would be hard to find a swimmer who doesn’t do this at least somewhat regularly—you’ll be swimming along, and you’ll catch yourself drifting off mentally. Maybe you are thinking about the big test at school tomorrow, or the argument you had with your parents that day, but whatever it is, you’ve lost mental focus. 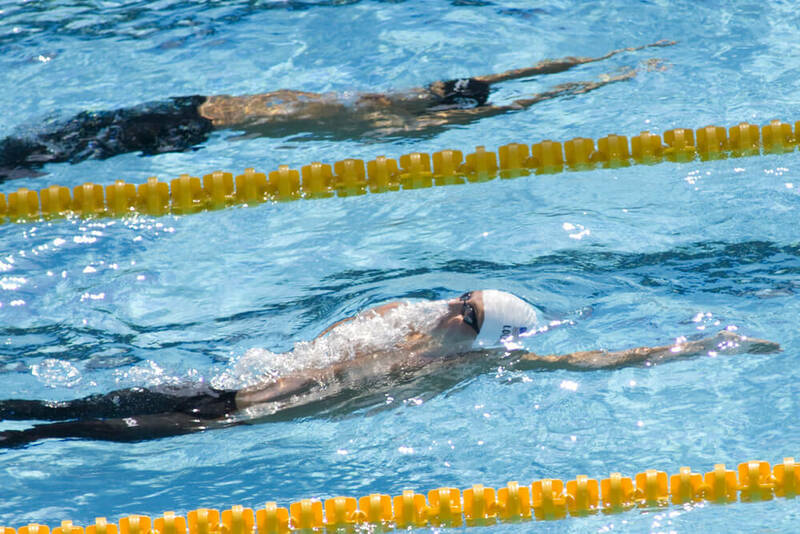 Some swimmers go through the motions of their whole practice like this, never really focusing on their technique, making sure that their turns are tight and breakouts fast, just chugging along, putting the meters in and counting down the laps until workout is done. How can you remedy this? Simple as this: be in the moment. When you are training, train. When you are at home watching TV, watch TV. Whatever it is you are doing at that particular moment, give it your full and undivided attention. 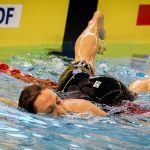 In the pool the fastest way to stay focused is to dial in on a couple technical aspects of your swimming. Count your strokes each lap. Make the pace clock your BFF and try to maintain a specific split per 50. Aim to breakout to 10m off each wall. 3. You aren’t doing enough to recover between practices. While it might seem counter-intuitive, there are times where exactly what you need is rest and good nutrition. After all, if our bodies didn’t require the time to rebuild and recover we could just swim for 24 hours a day until we grew gills. 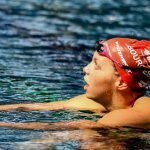 Serious swimmers understand how critical recovery is, because what they do between practices affects how they train moving forward. Compare the difference of swimming a tough workout on a full night of rest, properly fueled and hydrated, compared to a practice done after a lacklustre sleep, ridiculous food choices and lots of soda pop. 4. Your stroke falls apart the moment you get tired. It’s easy to have fantastic intentions before each practice—“I’m gonna give my best effort on every rep! Do perfect turns on every wall!”—but the moment we begin to face adversity in practice it becomes much more challenging to keep it all together. 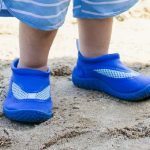 Our streamline starts to go, the breathing pattern becomes too hard to maintain, our flutter kick from from 6 beat to 1-beat, and our plan to keep our high elbow recovery strong goes out the window. 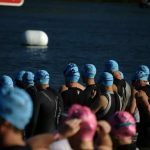 Why is it important to swim well when you are fatigued in practice? Because the way you train is the way you race. 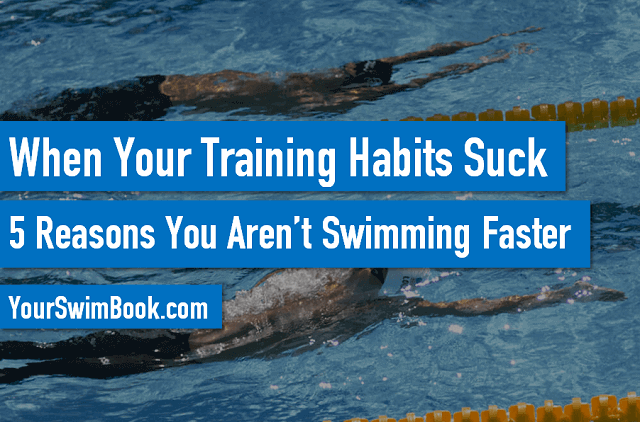 When you are on the last lap of that 200 yard freestyle and your lungs and muscles are burning, your body will lean on the habits that you have developed over months and months of practice. The way I train is the way I race. 5. You aren’t consistent in training. There’s the Sammy Save Up. 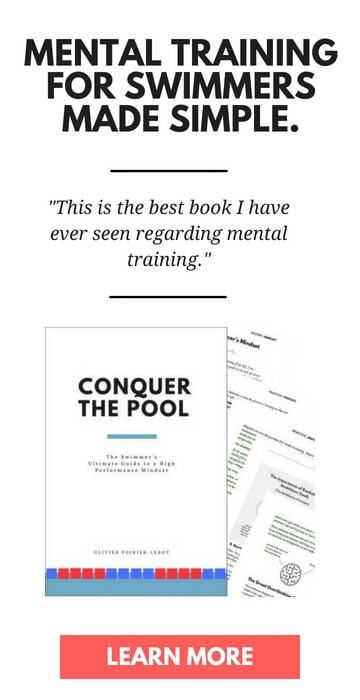 There’s the swimmer who shows up and swims out of her mind once a week, and then either doesn’t show up or floats through the rest of the workouts. 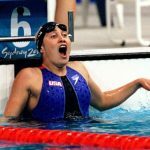 The swimmer who goes all-out when it doesn’t matter (warm-up, during warm-down). 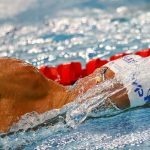 The swimmer who picks and chooses the sets they want to train fast. 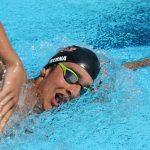 The common thread between these swimmers is that they aren’t consistent enough to expect sizable improvement the next time a competition comes around. They figure that by picking and choosing when they work hard, instead of taking advantage of the full assortment of opportunities to improve presented before them that they are somehow gaming the system. 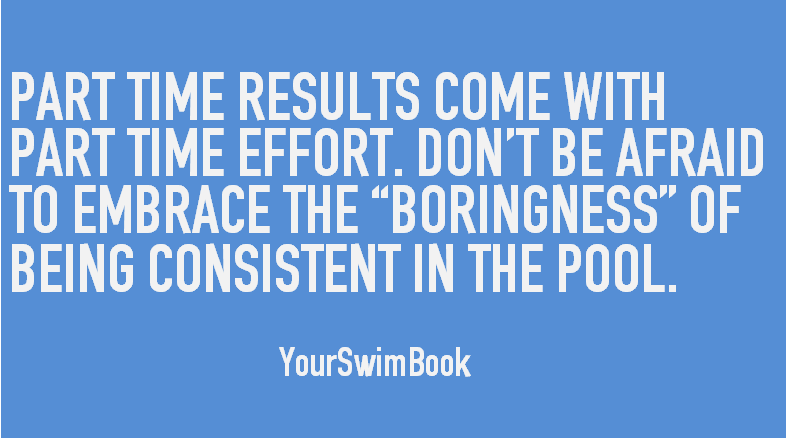 It’s unrealistic to expect full time results with a part time effort, so embrace that consistency, that “boring” foundation of excellence, is what will get you to your goals in the pool.